Drive an incredible and high-powered supercar... and then drive another one with this awesome Two Supercar Driving Experience, the ultimate experience gift for a petrolhead! Whether you are looking for a new way to get your own heart racing or are hoping to surprise a loved one with an exceptional gift, this awesome supercar driving experience is just the ticket. This experience is also available at Brands Hatch. If you would like to purchase a voucher for this track specifically, please click here. 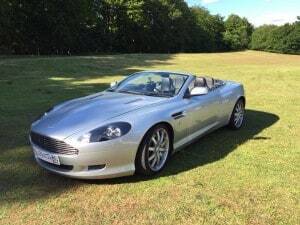 This supercar driving voucher is for 2 cars, and should keep you on site for around 1 hour and 45 minutes. Please arrive at least 30 minutes before your experience is due to start. Track length can vary according to location - each driver will receive approximately 3 miles of driving per vehicle. Participants are able to purchase additional cars and media packages on the day. Participants: The Supercar Driving Experience - 2 Car is for 1 participant. This voucher allows one person to drive 2 supercars. Friends and family are welcome to watch your experience free of charge. Seating is limited so it is recommend you bring a rug or deck chairs. Please come prepared for all weathers. Catering and toilet facilities are provided on site. Sorry, but pets are not allowed at Supercar Driving Events. Feel free to wear casual, comfortable clothes. It is advised that you wear soft soled shoes, such as trainers. Supercar track days will generally go ahead in most conditions, though if the weather causes an issue - your day will be rescheduled for a suitable date. I really enjoyed driving the Cars but was very dissapionted by the ciruit being made smaller. Loved the driving experience but had to que so long for the R8 I didn't have the chance to buy more laps in the Lamborghini as the instructor said there wasn't enough time left. Dissappointed that the que for the Audi took nearly 2 hours, would've choose another car if known. Only 2 laps on a short circuit not long enough to get the real feel of the car. Disappointed although the cars are good just the time on the track was insufficient. Also felt the CDW (damage waiver) should of been included in the price. Was really good fun, but the track was not long enough so was over quickly. If the track was longer it would have been GREAT! The choice of cars and experience was fantastic and my father enjoyed every minute! However, when we went to review the footage taken; the file containing the footage of the Nissan GTR (which is the one we wanted) had been corrupted. We were so disappointed. The experience was fantastic but the lost footage soured it. I am not sure I would recommend this. This was brought for me as a gift for my 40th Birthday and what an excellent, fun filled, adrenaline fuelled experience it was. Would highly recommend it! Whole experience from start to finish was amazing and have the footage and pictures to look back on this great experience. Amazing day, lots of fun, well organised, would definitely do it again! Would this be OK for a 18th birthday present? Do I have to book a date or can the person I want to buy it for book the date he wants? Hello All participants must hold be over 17 and hold a full, manual licence. The voucher is valid for ten months from date pf purchase, so the recipient can redeem this at any time during this period. Do you get to drive a total of 3 miles throughout the day, or 3 miles in each chosen car? You will get to drive 3 exhilerating miles in each of your chosen cars. How much do the photos cost for the Supercar Driving Experience? There are different photo packages for the Supercar Driving Experience - 2 Cars, ranging from around 25.00 to approximately 50.00 GBP. These additional extras can be purchased on the day. 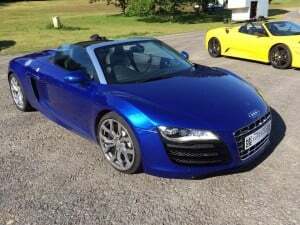 Can I take the Supercar Driving Experience - 2 Car at weekends? The Supercar Driving Experience - 2 Car is available on selected weekends at both Aldershot and Essex. Do I need to speak English in order to take part in the Supercar Driving Experience? All participants must have a good understanding of spoken English, to take part in Supercar Driving Experiences - this is a safety requirement. Participants will be accompanied by an instructor who will give constant advice and safety instruction throughout, in order to ensure the safety of both the driver, and other drivers on the track. Is Blyton Park wheelchair accessible? Yes, the centre is wheelchair accessible. Please contact us for any special requirements as we do our bets to accommodate everyone. Can I take the Supercar Driving - 2 Car Experience if I have a provisional licence? 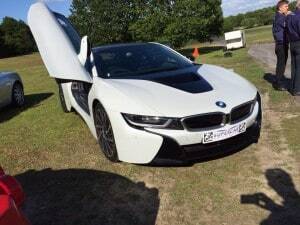 Unfortunately, all drivers must hold a Full UK/European Licence which allows them to legally drive on UK roads - provisional licences will not be accepted for the Supercar experiences. I live in the South and need something that would run at the weekend. 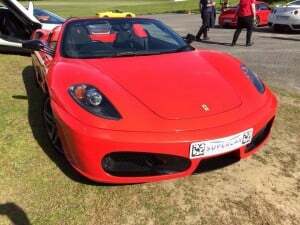 Do you run the Supercar Driving Experience - 2 Cars in the South? There are a number of tracks the Supercar Driving Experience - 2 Cars run from. Aldershot in Hampshire and Saffron Walden in Essex are both situated in the South and run on selected weekends too. Please be sure to use our location tab for a full listing of locations. Will I have to pay for additional insurance? There is an optional insurance waiver which you can choose to purchase on the day of your supercar driving experience. This will come at a cost of Ã‚Â£20-Ã‚Â£30 and will mean that you are not liable for the first 2,500 of any damages. At the Mallory Park race course, how many laps will I be driving each car for? At Mallory Park, you would drive each supercar for two laps of the circuit. What times does the Supercar Driving Experience - 2 Cars run? The Supercar Driving Experience - 2 Car run from 9am and every 30 minutes to 3:30pm. You would need to arrive 30 minutes before hand. Is there an additional payment for taking the Supercar Driving Experience - 2 Car on a weekend? If you were to take the Supercar Driving Experience - 2 Car on a weekend, there is an additional Ã‚Â£10 to pay. The payment of Ã‚Â£10 can be paid on the day at the track. Does the Supercar Driving Experience - 2 Car include a high speed passenger lap? The Supercar Driving Experience - 2 Car doesn't include a high speed passenger lap in the price. You can pay an extra Ã‚Â£29 for one lap or Ã‚Â£39 for two. This will be in an Ariel Atom and subject to availability. I hold a full, clean EU license. Would this be accepted on this particular package? As long as the licence allows the driver to legally drive in the UK, it will be absolutely fine. Can I take the Supercar Driving Experience - 2 Car as a passenger ride? Those without a driving licence can still enjoy the Supercar Driving Experience - 2 Car as a passenger. The restrictions are minimum height - 5ft, minimum age - 13 and maximum weight - 19st. What's the minimum age for a high speed passenger ride? The minimum age for a supercar passenger ride is 13. Which tracks are closest to London for this Supercar Driving Experience? The closest tracks to London are Dunsfold Park in Surrey and Carver Barracks in Essex.